Surely you have heard all about the Elf on the Shelf by now. It seems like everyone has one and everywhere you look people are sharing picture's of their elves. Is your Facebook news feed filled with elf pictures too? 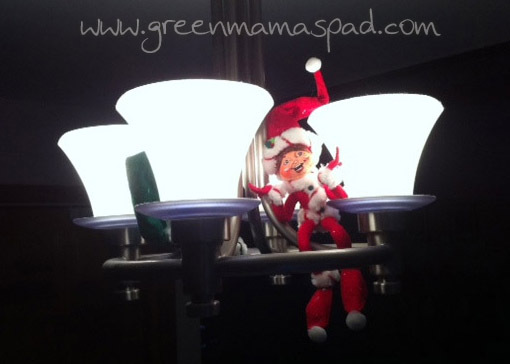 I read a blog post last week about overachieving elf on a shelf moms that had me laughing so hard I was crying. Because everything she wrote is so true. 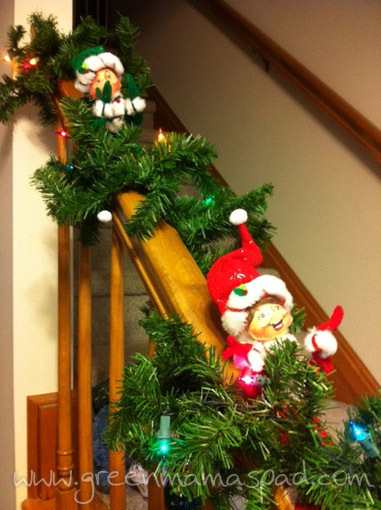 I give these mom's credit for going to great lengths to find fun and mischievous scenarios to put their elf in. That is just not me. In fact, I'm lucky if I remember to move our elves. After spending three days in the stocking over the fireplace, my six year informed me that he thinks the elves are stuck in there. Mommy remembered to move them that night. 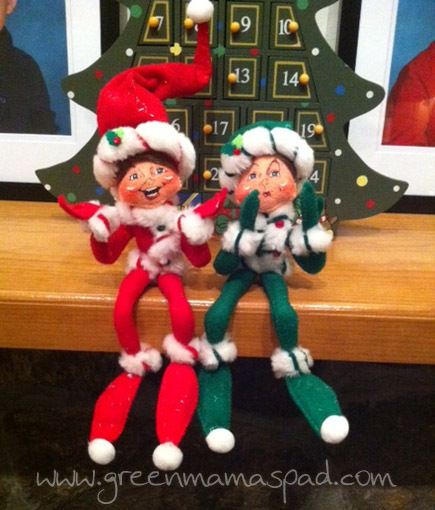 Last year is when we started our elf tradition. While I was at Home Goods I picked up two Anna Lee elf dolls. To be honest, that official Elf on the Shelf dude give me the creeps. Something about the eyes I think. Our elves, Peppermint and Spearmint, appeared to my children one morning on the fireplace ledge with a note from Santa explaining their mission. The kids had a great deal of fun searching for them every morning. This year I had hoped to be a little more creative in their nightly placements, but as I stated I have a problem even remembering to move them. These are just a few photos of where they have appeared this season. This is our kitchen chandelier that they are hanging out in. They always make an appearance here as well as in our dining room chandelier. Yeah, I am really creative. The banister was a new one for me this year and it was cute. The boys loved seeing them first thing when they came downstairs in the morning. Of course this was probably the closest to their level they have been and my six year old spotted the tags. "Why do they have tags mommy"? "Um. So Santa knows which elves they are." This was my favorite by far. And it killed two birds with one stone. They other day the twins came home from preschool with Ziploc bags of cookies they decorated at school. Cookies covered in frosting, then green sprinkles, then jelly beans, M&M's and marshmallows. Bleh. All garbage. L actually did not want his (he isn't much into sweets) so he gave one to his big brother and one to his baby brother. I tasted the third and oh my gosh it was disgusting. So J still had his cookies. He ate one the first night and another the second night. But I really didn't want him eating anymore of this junk. So last night after they went to bed, I took that last cookie and broke some crumbs into the plate. The rest of the cookie went into the trash. 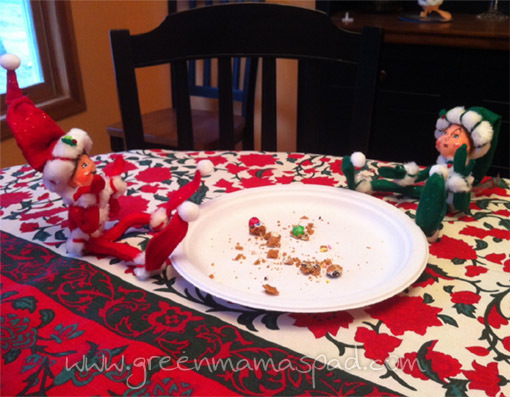 Then I placed the elves on the dining room table with the plate of crumbs. When they spotted the elves this morning they thought it was hilarious that they had eaten the cookie. Well, everyone but J did. He was mighty pissed that they ate his last cookie. He got over it though and laughed with us later. Some other places the elves have been spotted this year is in the stockings, in the big Christmas tree and in the Star Wars tree, sitting on top of the TV and sitting on top of a curtain rod. 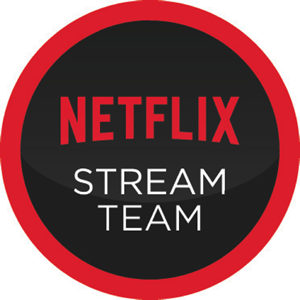 Like I said, all pretty boring. I enjoyed the cookie scene though and so now I am racking my brain trying to think where I should move them too tonight. Does your family do the Elf on the Shelf? Where are some fun things yo have done with your elf?